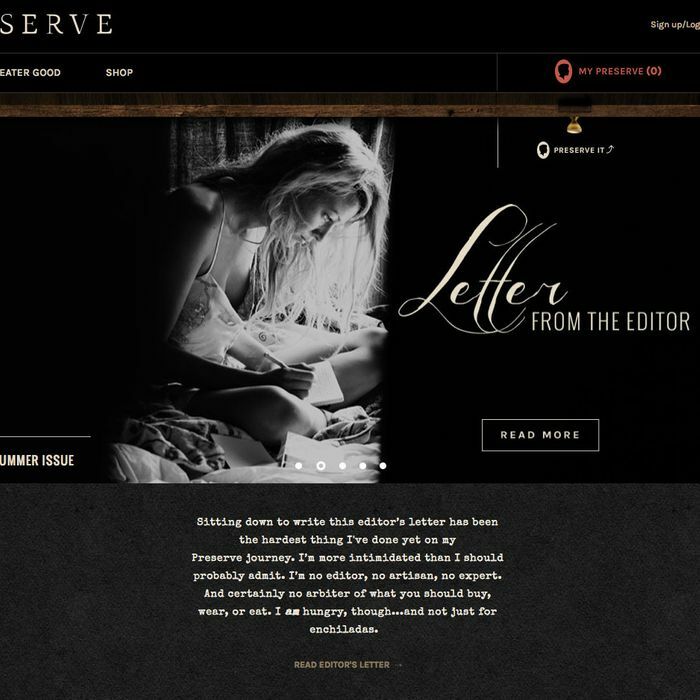 Blake Lively has just officially launched Preserve, her very own internet emporium. It looks like a promotional website for a horror movie in 2005. Preserve is ensconced in the most shady website color scheme (black background; white writing). Its editorial mission statement features an eerily backlit photo of an ethereal, blonde lady-ghost. The visual language of the psychological thriller is a clear inspiration: Everything is cased in shadow; creepy foliage is foregrounded. The tag text is ominous. Strange metal scraps are highlighted. Even an image for an article about sundaes (which uses libido as a metaphor for ice-cream stacking) has a photo of a woman who looks like she’s screaming. Welcome to the internet, nightmare-inspo website. We’re so happy to have you.